Tour Yearbook, featuring "Past the Mission"
Total Running Time : 33 minutes and 48 seconds. The Scarlet Sessions show, which was shot in New York City on November 14, 2002, was supposed to be released as a DVD in the first place but was finally partly aired on American channels Tryo and VH1. Loren Haynes explained to Little Blue World in their winter 2005 issue, that Tori wasn’t satisfied with the footage. Most of all, the release of this DVD compromised WTSF’s own footage and release. "Tori stuck her neck out and laid out her own money, because Epic had already shot a lot of footage, and Tori didn’t like any of it, so they backed out of our project three days before the shoot, and Tori came through and said let’s do it on our own, and again she was right." Several screenings were organised to promote the release of the DVD in cities such as London, San Francisco and Atlanta, allowing fans to discover the show in an unique wide screen configuration. Welcome to Sunny Florida debuted at #1 on the U.K. Music DVD and Video chart, at #2 on Billboard’s Top Music video chart as well as on the Music DVD chart in Italy and at #3 on the DVD Music charts in Poland. In its second week on the US chart, on June 12, 2004, it fell to #9. Between its release on May 18 and the Billboard article on June 16, it has sold 22,000 copies in the US only. Further sales figures in the US and worldwide have never been published. 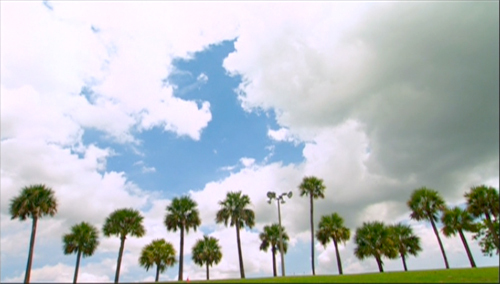 Welcome to Sunny Florida is the live DVD of the Lottapianos Tour, Scarlet’s Walk final leg tour in summer 2003. 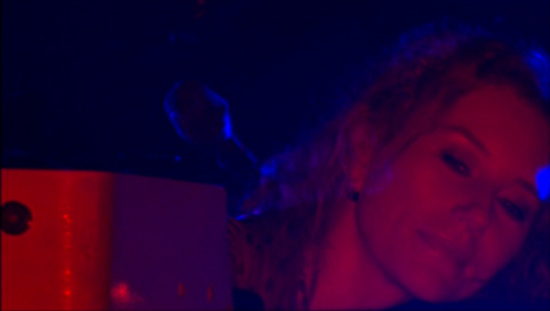 The film captures Tori’s very last show in West Palm Beach, Florida, on September 4, 2003. You get to see 19 out of the 23 songs Tori performed during the show. "Wednesday," "Virginia," "Sweet Sangria" and "Past the Mission" were cut from the final edit, probably for running time reasons. Loren Haynes, the photographer who took the pictures of To Venus and Back as well as behind-the-scenes photographs included in the 5/2 Weeks tourbook and Tori’s autobiography Piece by Piece, directed, produced and edited the film. He followed Tori during her rehearsals, until the very last moments before she takes the stage, making for a very intimate portrayal of Tori as a perfomer. During Scarlet’s Walk promotion, the singer often told the interviewers she practiced a Native American ritual backstage with the crew members, based on a southwestern version of the Medicine Wheel. In the DVD, you get to see a part of this ritual, as well as the crew dancing with Tash, Tori’s daughter, and singing with her "Ring-a-Ring-a-Rosie." Fans (well, the ones who attended to at least 70 shows, in this case) are also interviewed in the opening of the film and the bonus material includes exclusive backstage and rehearsals footage and pictures. Speaking about the bonus material, you’ll find two excellent backstage interviews by Loren Haynes himself. The first is an in-depth 20 minutes interview of Tori where she speaks about the album, but mostly about the evolution of her career, her creative process and her life as a performing and touring artist with a sound engineer husband and a little girl. It is one of the most interesting and moving video interviews of our favourite redhead, so don’t miss it! For the second interview, Loren Haynesinterviewed Tori’s mother, Mary, who talks about her daughter’s musical gift and getting her to audition to the Peabody Conservatory, among other things. You also get to see Tori reacting to what her mother says, as well as Tori’s father, Dr. Ed Amos. This is unique material which will please any Tori fan. 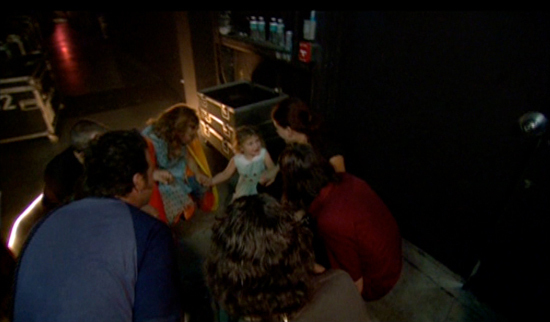 The last bonus of the DVD is a gallery of live and backstage pictures of the tour: you see Tori with her crew, her daughter… Some of the pictures are from Loren Haynes, others from Alison Evans, who documented the tour. This gallery includes the audio version of the "Past the Mission" performance that was cut out of the show to fit on the DVD. Let’s talk about the show itself now: this is where we need to have some criticism. The show as a whole is very good and you’ll even find truly breathtaking performances of "Take to the Sky" (with a unique "Muhammad My Friend /improv" bridge instead of the usual inclusion of Carol King’s "I Feel the Earth Move" due to copyright issues) and "Cooling" (with one of the most beautiful piano introductions ever). But some things might frustrate fans: first of all, after a nearly one-year-long tour, Tori’s voice felt somewhat tired and, if it doesn’t show on every song, you can clearly hear she has a nosy tone on a lot of them. Then, it’s a matter of personal appreciation, but I know I often have difficulties with her voice when it’s too strained and nosy. In this sense, WTSF is one of the few Tori shows I have trouble watching from top to tail because of that. I like a great deal of the performances ("Take to the Sky" and "Cooling" but also "Sugar," "Concertina," "Cornflake Girl…") but have a bit of a hard time with others, especially when the film exceeds two hours.